Bay Area home sales dropped by 14.2 percent from August and 4.2 percent year over year, and future declines are expected for areas affected by wildfires. The months’ supply of inventory fell both statewide and in the Bay Area from September of last year. Despite fewer properties on the market than there were at the same time last year, California home sales increased modestly in September. 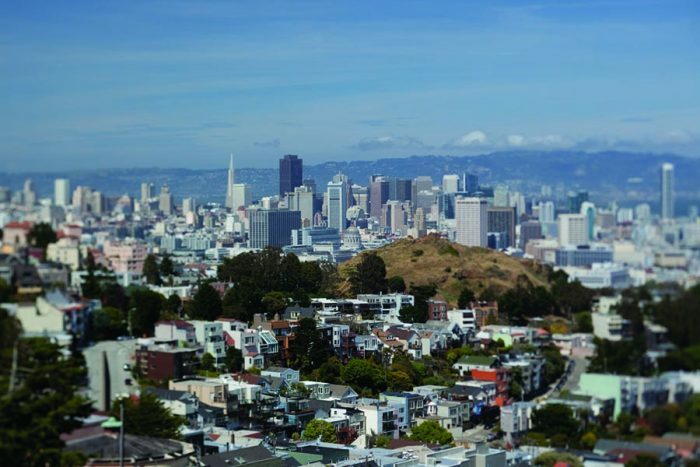 Here in the Bay Area, which has the state’s most severe inventory drought, the opposite held true, as sales dropped throughout much of the region. The latest monthly home sales and price report from the California Association of Realtors says that there were 436,920 existing single-family home sales on a seasonally adjusted annualized rate in September, a gain of 2.2 percent from August and 1.7 percent higher year over year. In the nine-county Bay Area, sales declined by 14.2 percent from the previous month and 4.2 percent from September of last year. In a statement accompanying the report, CAR President Geoff McIntosh said that he expects sales to further recede this year in areas affected by wildfires, including Napa and Sonoma counties. In September, home sales were down on an annual basis by 12.4 percent in Napa County and 0.5 percent in Sonoma County. California’s median single-family home price ended September at $555,410, down slightly from August but up 7.5 percent year over year. In the nine-county Bay Area, the median sales price was $852,230, an annual gain of 11.7 percent. Eight of nine local counties saw the median sales price increase from September 2016, ranging from 18.0 percent in Santa Clara County to 5.1 percent in Sonoma County. Napa was the only Bay Area county where the median sales price decreased from the previous year, falling by 2.7 percent. CAR Senior Vice President and Chief Economist Leslie Appleton-Young pointed to a familiar culprit — not enough homes on the market to meet demand — as the primary factor pushing prices higher. All but 10 of the 51 counties for which CAR tracks data saw annual home price increases in September. California had a 3.2-month supply of homes for sale in September, a modest improvement from August but down from last September. Active listings, which have been falling by more than 10 percent every month so far this year, continued their slide, declining by 11.2 percent. A similar trend played out in the Bay Area, with the months’ supply of inventory expanding from August to 2.2 but down from the 2.6-month supply recorded in September of last year. Four Bay Area counties have the lowest inventory levels in the state: Santa Clara (1.4), San Mateo (1.9), Alameda (2.1), and Contra Costa (2.2).